Sandeep Agarwal didn't set out to become a self-made butter historian. Of course, Agarwal, who runs a Pure Indian Foods, a company that makes organic, grass-fed ghee, has always been interested in the stuff. Then he saw his first butter churn at flea market auction, and he was hooked. 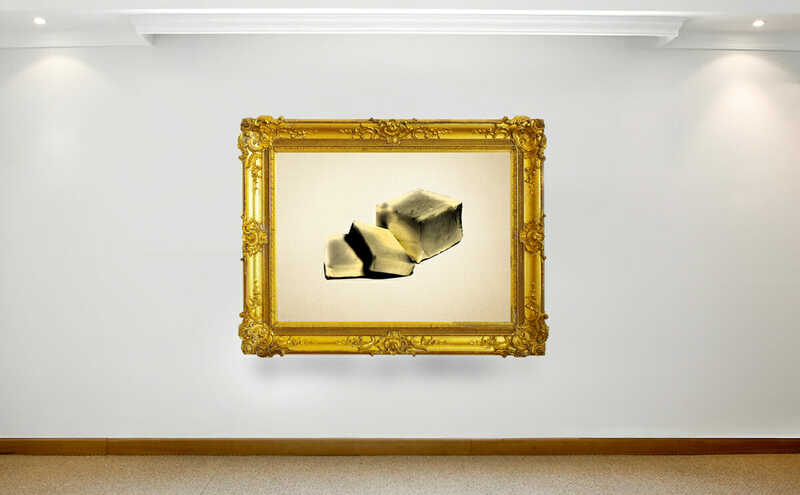 He sunk years of his life and his own savings into a quest to amass butter artifacts. Agarwal runs Pure Indian Foods, a company that makes organic, grass-fed ghee. He’s worked with butter for years, but he wasn’t hooked on its history until he saw his first butter churn at a flea market auction. He soon sunk years of his life and his own savings into a quest to amass butter artifacts. 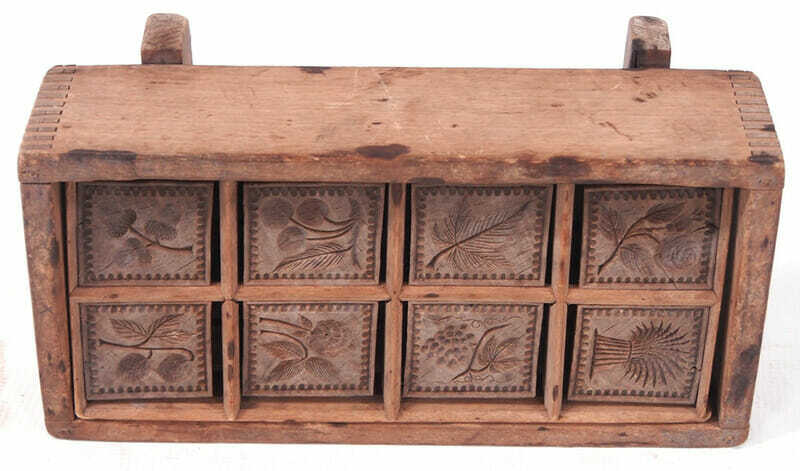 Now Agarwal’s got books, churns, antique bottles, historical documents, and advertisements. And he wants to share his collection (and his love of butter) with the world. His traveling exhibition, “Butterworld,” debuts November 8 at the Wise Traditions Conference in Atlanta, Georgia. We talked to Agarwal about his obsession. Modern Farmer: What inspired you to create Butterworld? Sandeep Agarwal: My family has been in the dairy business in India for five generations now. We have been in the business of ghee, which is clarified butter. It’s a form of butter used in India a lot as a primary cooking fat. I started a business here [in the U.S.] about five years ago, Pure Indian Foods. We make and sell organic, grass-fed ghee. This business, visiting India, talking to my relatives, and just my own history pushed me to find out a little bit more about the historical perspective of ghee and butter and then dairy in general. And that’s when I started to collect books initially about butter and ghee. I first saw a butter churn at an auction at a flea market and it drew my interest. I started to learn about butter churns. I found that this was equipment that a lot of attention was paid to about 100 to 150 years ago. 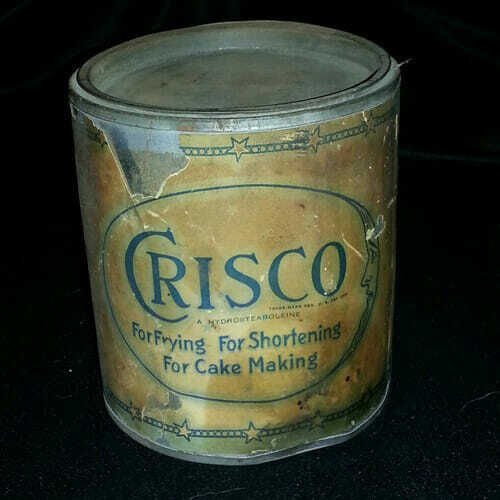 There were 2,500 patents filed just on butter churns over a 70-year time period. That told me that something was going on, that America and society in general was very much focused on butter and dairy products, and butter was one of the primary products that people enjoyed, cherished and cooked with in so many different ways. So I started to read about the churns and then started to acquire those any way I could — in auctions, online, visiting flea markets, traveling all over the country, trying to find the good stuff. And in India as well, I got some stuff from there, some from my own family, and since then I’ve just been slowly acquiring interesting pieces of history from all over the dairy world. 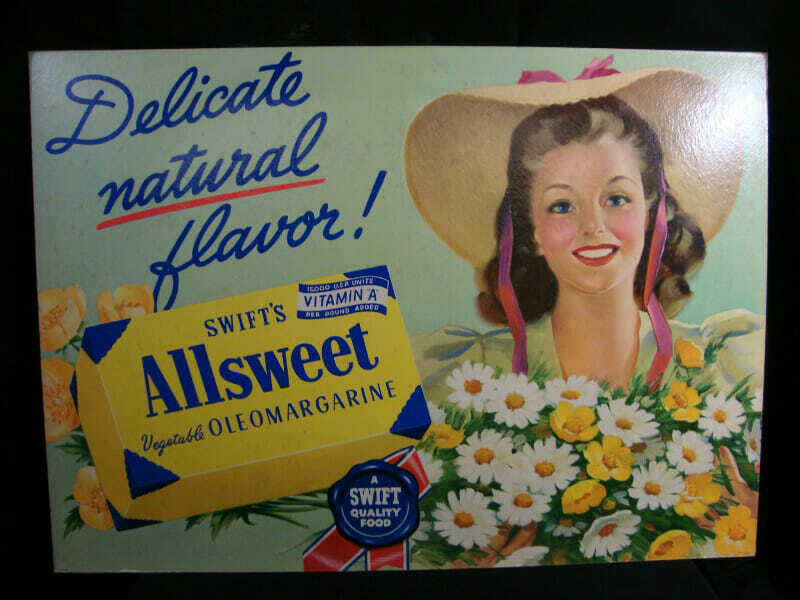 Original Grocery Display Cardboard Sign of Swift's Allsweet Vegetable Oleomargarine. c. 1940. 33 in. x 24 in. MF: Tell me about some of the coolest, strangest, most interesting things you were able to find. SA: We have butter churns from India and Tibet. They are really beautiful, gorgeous wooden instruments. People used to really cherish their butter equipment. We have some stuff from Russia and, obviously, a lot from America. An interesting thing that we have is called a “rectangular butter churn.” Butter churns used to be cylindrical like a barrel, and you would just spin the barrel and the cream would spin around and eventually separate into butter and buttermilk. Eventually they realized that it wasn’t providing enough agitation, so instead of making a cylindrical butter churn they made it rectangular – it’s like a cube. I guess it was just to get the butter faster, to accomplish the churning faster. 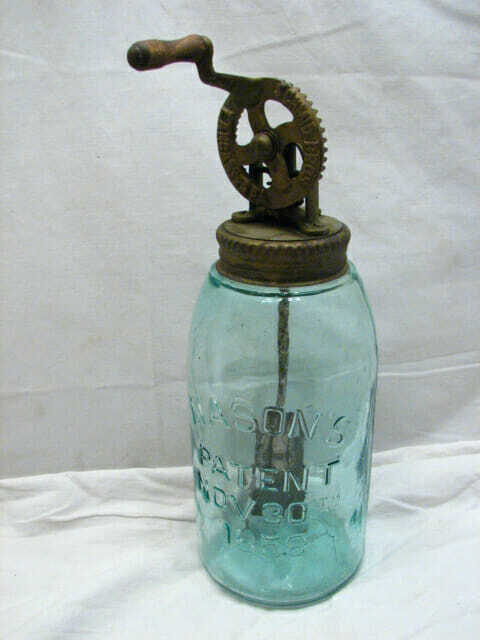 And this churn is very, very old. It’s actually in very bad condition. Right now I’m busy restoring a lot of these things. Mind you, I don’t have any background in museums or restoration, so I’m learning a lot of this as we go along. Currently, a lot of the stuff is in my garage in storage spaces. Obviously, my wife didn’t like it. I took up a lot of our space in our garage! She did not have any space to put in her stuff, even the kids said, ‘Where are we going to put our bikes?’ So I got a storage space and moved a lot of big equipment there. Still, a lot of stuff is in my garage — it’s my workshop. I come home from work, I spend some time cleaning these instruments, repairing them, documenting them, reading about their history, just so that I myself can have a good understanding and glue all these historical pieces together to give people a sense of what butter is all about. MF: What’s the oldest item you have? SA:One of the oldest items we have is actually a book that I acquired from England. It was printed in 1662 and it has a document from the king himself about the adulteration of butter. Butterfat was always one of the most expensive parts of milk and there used to be a lot of adulteration and mixing. So a section of this book is about a ruling that was made to prevent the adulteration of butter and also about how butter should be properly made so that consumers are getting what they pay for. My interest is also in how butter products got a bad reputation and people started using fake butter, like margarine and hydrogenated fat. Vegetable oil would be taken and hydrogenated to create a butter-like substance and a fight occurred. The dairy industry was trying to preserve butter and trying to use congress to implement taxes on the margarine industry. One of the interesting things I learned was that in some states, yellow margarine would have more tax than the white margarine, so to get around that manufacturers would include a small packet of coloring material along with the white margarine and then people would make their own and pay less taxes. And then there were innovations around it. Mixing it was hard, so then companies made small mixing instruments to mix color into margarine. I found a margarine package that had a coloring package inside, but you don’t have to take it out, you just start to squeeze the package and the color will come out and within a few minutes the color would be evenly distributed. So now you don’t have to pay the higher taxes for the colored margarine. 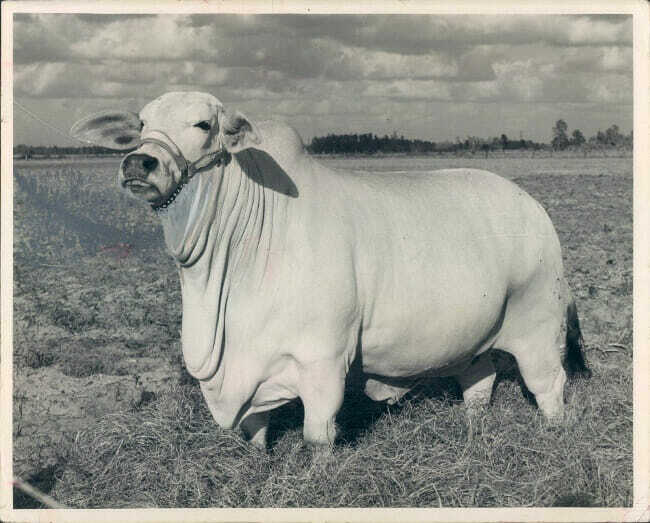 Holland exported their technology to India and started to sell hydrogenated fat, and it was so cheap you could buy it for one-sixth the price of ghee and they used to call it vegetable ghee. “Vegetable” would be written in small font and “ghee” would be written in larger font. And people would believe that it tasted, smelled and looked like ghee at one-sixth of the price. And that’s when it became popular in India. In order to sell those products, companies obviously launched a campaign to make ghee a villain, to say it causes heart disease and clogged all our arteries. MF: Are you trying to help butter get its good name back? MF: Does every culture eat butter? SA: I was able to find it worldwide, except I couldn’t find too much in Africa. Although I know many countries in Africa use butter and ghee. Ethiopia certainly treasured butter and they made a form of ghee called niter kebbeh. China was not very big on dairy. Correction: A previous headline on this story stated that Butterworld was the world’s first butter museum. It is not. We regret the error.